Universidad Latina, Facultad de Ingeniería. “LibreSoft”. July 1st., 2010 from 6:00 p.m. To 10:30 p.m. (- 5 EST) several FOSS individual representatives held a meeting on 3rd floor of the main building, gave some talks about FOSS, software developments, open source, licensing, sharing code, community contributions, and applications to the general public, Telecommunications and Industrial Engineering students, professors, dean and lawyers. 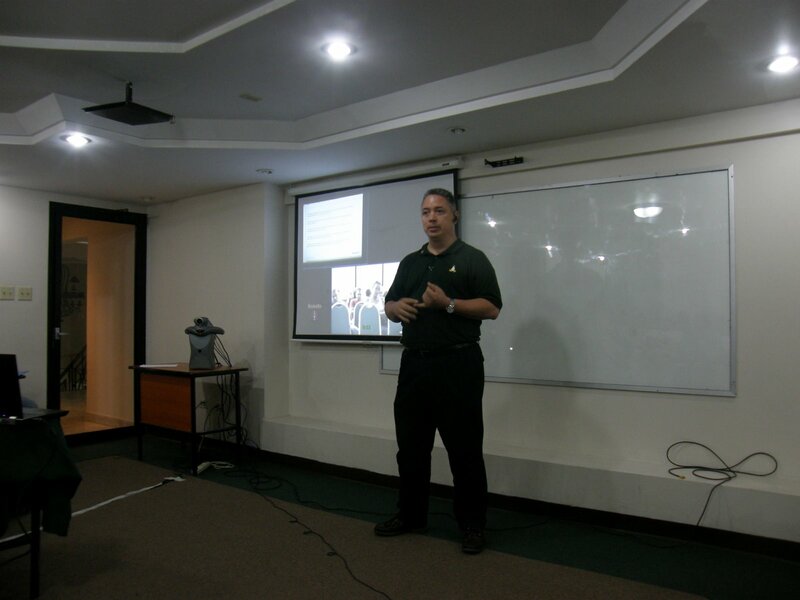 OpenSUSE Ambassador, Ricardo Chung, shared the space with Diego Tejera (Ubuntu LoCo Team), Alejandro Perez ( Fedora Ambassador ), Abdel Martinez ( Fedora Campus Ambassador), Adrien Scott ( www.fosdev.com) and others. Ricardo gave a talk about openSUSE 11.2 features and some sneak preview features on openSUSE 11.3 ( http://en.opensuse.org/Product_highlights_11.3), the openSUSE Build Service 2.0 ( http://en.opensuse.org/Build_Service) as software development and colaboration platform useful for any Linux distribution, SUSE Studio to customize our distribution on different enviroments, and KIWI to make an operating system image available on physical media ( http://en.opensuse.org/Kiwi ). 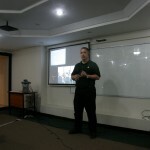 Ricardo also, answer some questions about openSUSE community and local users group, installation, as well as some questions about Novell and Microsoft alliances were clarified. After the talk an openSUSE and Novell trivia was given and the winners got some openSUSE 11.2 CDs with Gnome Desktop by default. This event did open a collaboration between communities , enterprises and Universidad Interamericana de Panama to promote open source and Linux certifications and Linux diplomados. All open source communities ambassadors will organize their groups looking to keep their members up to date with knowledge. Some CAPATEC (Cámara Panameña de Tecnología) members, like ELCONIX, has showed higher intention to support some Open Source communities sponsoring education, certification, and some events like FLISoL and Freedom Software Day. Mirtha Rodriguez, UIP, Systems Engineering Faculty Dean, did give us a great liaison and invited us to keep working with their students at UIP for future events. Friday 19th at 13:00 (EST) at ULACIT (Laureate) in Panama City. Carolina Flores H. (Social Psychologist and Free Software activist) will give a talk about “Para Cambiar el Mundo, Hay que Cambiar el Software” (If you want to change the World, you should change the Software). And openSUSE will have a small space to talk about the advantages of openSUSE in our daily tasks . 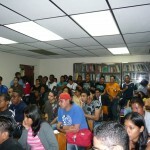 This year will be a great year for Linux lovers in Panama because several free and open source communities users, business people, academics, communications media and gouvernment wil have convergency for planning the Information Technologies and Telecommunications National Strategies for Logistics, Finances, Education, etc. 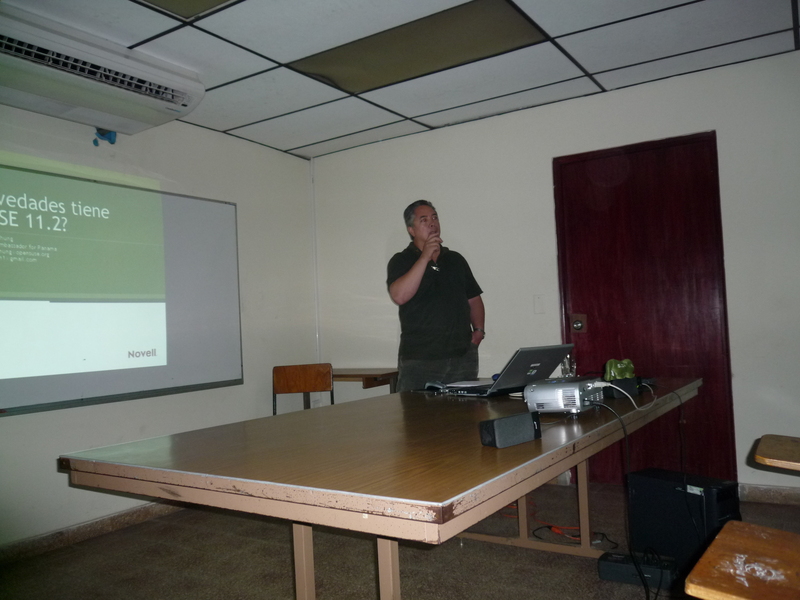 March 13th openSUSE Ambassador for Panama, Ricardo Chung (amonthoth), gave a talk at Universidad Interamericana de Panama (UIP is Laureate) for a small students group about openSUSE graphic installing procedures and customizations. 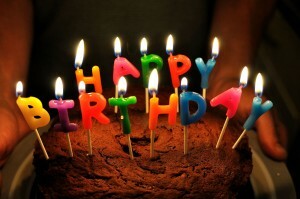 How to add repositories, softwares applications and customize the desktop. 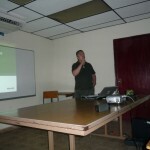 This is the first of openSUSE talk series preparing activities for FLISoL 2010 at Ciudad del Saber. Educative scenarios as this one are the open source seeds for an open future and great development opportunities. UIP it’s maybe the only university on this country offering Linux Diplomados looking for LPI certification. UIP has a ProMetric Certification LPI Authorized Center. Here they are the New Generation for open source.